Copyright: © 1982 Jubilate Hymns Ltd; admin. Hope Publishing Co. 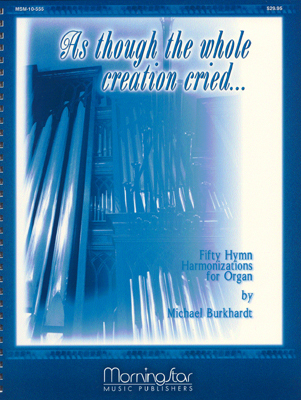 Copyright: © 1942, renewed 1970 Hope Publishing Co.
ABBOT'S LEIGH As Though the Whole Creation Cried - 50 Hymn Harmonizations for Organ - Volume 1 BRASS ACCOMPANIMENTS FOR HYMNSINGING GOD IS HERE!